You’ve heard by now, thanks to an aggressive public safety campaign, that drinking and driving is bad news—especially when it comes to car accident injuries in Iowa. But, did you know that even passengers who have been drinking, are 1.5 times more likely to suffer severe injuries in a car accident, than those who have not? This is not merely a matter for serious traffic accidents either. Even in minor collisions, people who have had blood-alcohol numbers lower than 0.1 percent are far more likely to suffer injury, even serious injuries, than those who have had no alcohol at all. Since 2005, 222 people have been charged with vehicular homicide while intoxicated, and nearly one-third previously had been arrested for driving while intoxicated. Several had been arrested multiple times. At least 13 of those drivers were caught driving drunk again after they had been charged or convicted of killing someone while driving under the influence. Why is Alcohol so Problematic for Car Accident Injuries? There are many theories on this even though the exact cause remains much of a mystery. Part of the problem may be attributed to the kinetic injury of a car crash coupled with cell membranes that are altered by the alcohol that’s been consumed. This means that when the violence of the impact interacts with the cells, they burst, leading to more serious injuries. It may also have something to do with the slower reaction time of those who are impaired by alcohol. They aren’t in the proper condition to protect themselves from injuries. There is also the greater likelihood that they’ll be riding without properly positioned safety belts, if they’re even using them at all, which further increases the severity of alcohol-related car accident injuries in Iowa. What does it Ultimately Mean? Once upon a time, the moral of the story was “don’t drink and drive.” Today the message is changing. Even as a passenger in a car accident, the consumption of alcohol prior to riding places you at a greater risk for serious long-term injuries resulting from your accident. This doesn’t mean that you should be drinking behind the wheel by any means. That places you at a greater risk of injury and accidents. 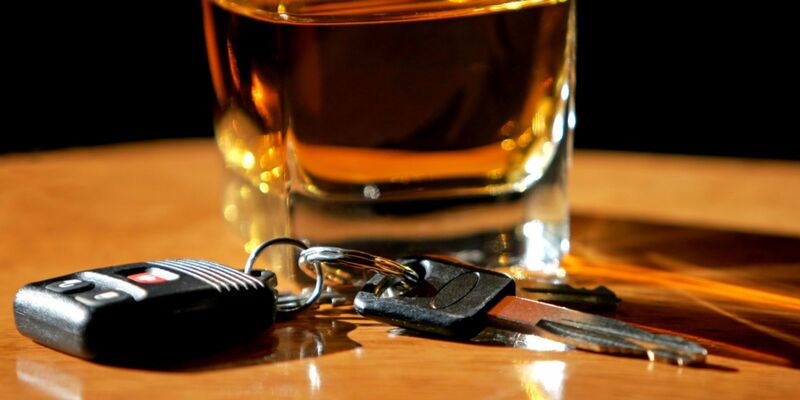 What it does mean is that you might want to carefully consider whether drinking while out and about is a good idea or if it’s better to enjoy a nightcap at home where there are no risks of car accident injuries in Iowa. It's pretty bad news to fail a chemical test. The combination of loss of driving privileges, required counseling, and other penalties affects every facet of your life. In addition to what you may face with criminal OWI charges, if you fail a chemical test, you will have your license suspended by Department of Transportation. 1st offense: You will lose your license for 180 days. You are also subject to criminal penalties and fines if convicted of a OWI. 2nd offense: If it is your 2nd offense within 12 years, you will lose your license for 1 year. You may also face additional criminal penalties and fines if convicted. 3rd offense: A 3rd offense within a 12 years will result in revocation of your license for 6 years, in addition to criminal penalties if convicted of an OWI. 1st offense: You will lose your license for 60 days. 2nd and subsequent offenses: You will lose your license for 90 days. No one under 18 years old is permitted to apply for a temporary restricted license. In addition to losing your driving privileges, you will also need to complete a classeroon courseand undergo a substance abuse evaluation or treatment program, regardless of it being a third offense or first. Iowa law requires that you pay for these services at your own expense. Keep in mind you will also be hit with a $200 civil penalty. If you are caught driving while your license is revoked (whether it was a criminal revocation or Administrative suspension), you'll be charged with another misdemeanor and ordered to pay a $1,000 fine. If you are new Iowa resident, it's important to realize that OWI convictions in other states will count against you when the DOT considers what action to take regarding your license. In some cases those who fail a chemical test and have their licenses suspended can apply for a temporary restricted license. In order to receive a temporary restricted license you will be required to have a Ignition Interlock Device (IID) installed on your vehicle. Only companies approved by the Division of Criminal Investigation can be used to install and maintain your IID. Completion of a substance abuse evaluation and treatment or rehabilitation services. Completion of the course for drinking drivers (This course is 12 hours and costs a minimum of $115). Ignition Interlock Device requirements (If applicable). Paying the $200 civil penalty. If required you'll need to show proof of your financial responsibility by filing an insurance SR-22 form with the Office of Driver Services. You'll also need to take the knowledge test, driving exam, and vision screening to be issued a new Iowa driver's license. An OWI license revocation will remain on your driving record for 12 years. In addition to resulting in substantially higher auto insurance rates, this may also disqualify you from certain types of employment. Don’t suffer from burns from a car accident without the help you deserve. 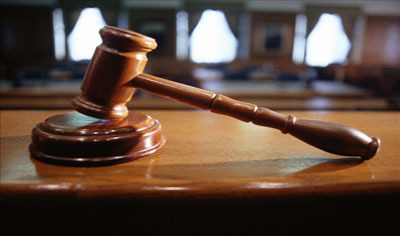 Contact a personal injury attorney at Walker, Billingsley & Bair. Our firm can answer any questions you may have and will work with you to help you claim the compensation you deserve. An Iowa personal injury attorney is knowledgeable of all types of injury laws and they are your best bet when dealing with the effects of chronic headaches. Schedule a consultation and order our FREE book for Iowa accident victims, The Legal Insider’s Guide to Iowa Car Accidents: 7 Secrets to Not Wreck Your Case, by calling 1-888-792-3595.